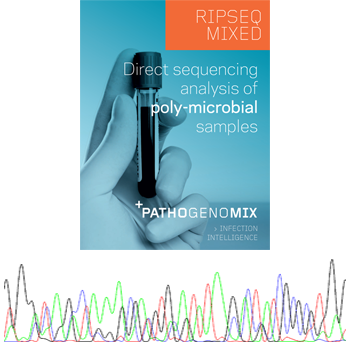 RipSeq sequence-based analysis reduces the time needed to identify infectious pathogens, in pure- or poly-microbial samples, by up to 90% - and provides answers where other methods fail. Use any sequencing technology you want - Sanger or NGS - Ripseq is platform agnostic. Please visit pathogenomix.com for more information. No matter if you have a pure sample, or you have a more complex sample resulting in a mixed chromatogram - RipSeq Mixed can also analyze samples you otherwise would have to discard or at best culture and separate, and not knowing if you missed anything. No need to re-culture or discard a sample! Using our bulk analysis you can save a lot of time on your pure samples - with bulk upload, bulk analysis against any of our curated Ripseq DB databases, automatic confidence status flags and antomatic report generation. You do not have to sift through hundreds, or even thousands of references in GenBank anymore! 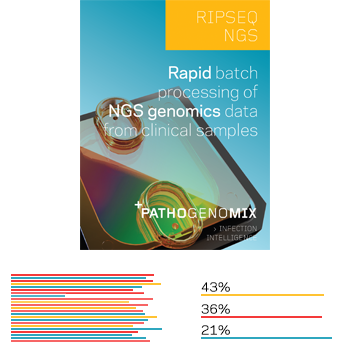 Using our novel algoritms RipSeq will process your targeted NGS sequence file locally, and reduce the information needed to upload by a factor of 1000:1, while still retaining resolution and specificity. This means no lengthy file upload, and no costly big data file storage. After upload, the cloud based RipSeq will analyze the uploaded reads against any of our curated Ripseq DB databases - no matter the target. Complete NGS analysis in less than 5 minutes! Including reporting! RipSeq is a product of Pathogenomix. Please visit www.pathogenomix.com for more information. 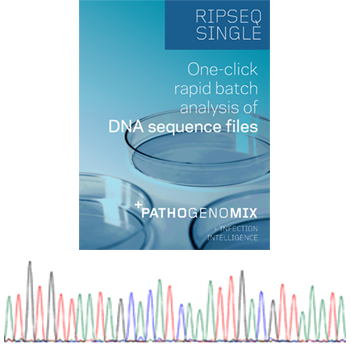 Isentio has merged with Pathogenomix, Inc.
RipSeq is based on patent pending method. Note: For research use only.